-A list of the 25 films that I really enjoyed but didn’t make my year-end list, and a list of 10 films I didn’t get to see this year that I feel the need to mention. The holiday season is so packed with new releases that there’s just no way that I could, in good conscience, put out my “Top Films of the Year” list without seeing movies like Martin Scorsese’s Silence or Paterson or Patriot’s Day. Because of the slow rollout of limited releases into early January, I have decided to wait an extra few weeks to make my Best Films list, so for now, I have made a list of films that I really liked this year that just missed the cut by currently laying outside of my Top 25, essentially just being slightly too flawed to crack the list. The second is a list of films that I didn’t get to see in theaters that I think are worth noting as potential possibilities to crack the list if I had been able to see them. 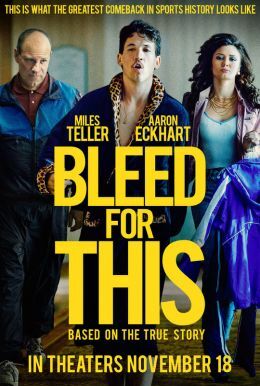 –Bleed for This is the new acting vehicle for Miles Teller, a performer who I follow pretty closely after loving what he did in Whiplash a few years ago. It got mixed reviews upon release, and I didn’t love the trailers so I skipped it in favor of seeing The Edge of Seventeen that week. There are enough boxing films to last a lifetime, but this felt like something fresh and new. 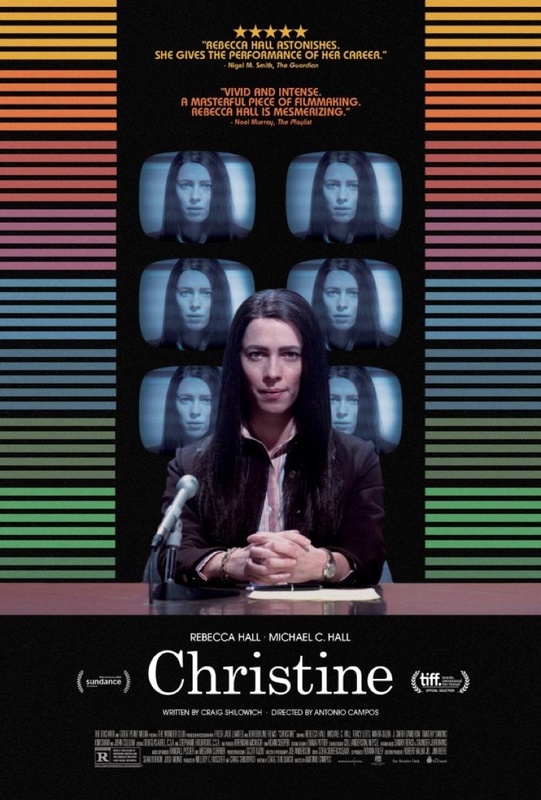 -Christine supposedly gets a fantastic performance out of Rebecca Hall in the true story about a news anchor who loses her mind and commits suicide on live television. Although she’s fallen out of Oscar contention, this was a movie I was really intent upon seeing and just didn’t get to because it left theaters too fast. I will probably rent it when it comes out, but for the performance alone, it deserves a mention. -Don’t Think Twice is a real-world style comedy with an all-star cast that was supposedly one of the best comedies of the whole year. It never really opened near me, but it has a lot of inside-baseball about stand-up comedy, and I would really like to see it at some point. 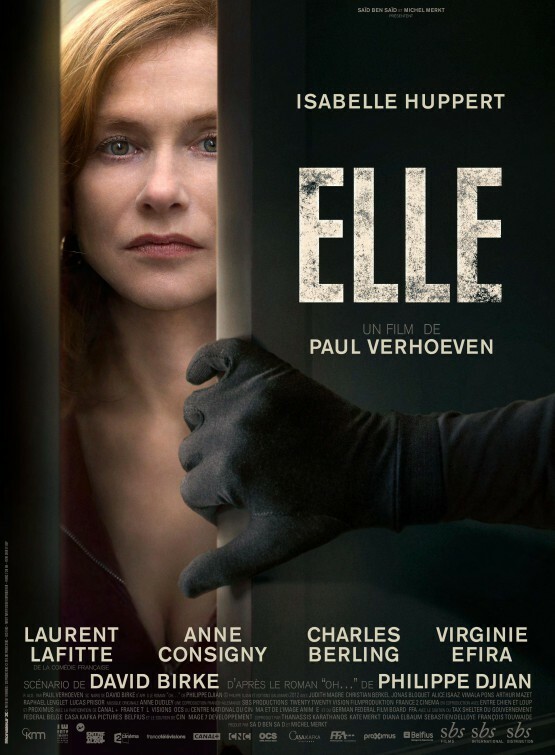 -Elle never opened near me last month but it supposedly has a possible Oscar nomination for Isabelle Huppert. Keep your eyes open for this one on on-demand because it could be important for awards season. 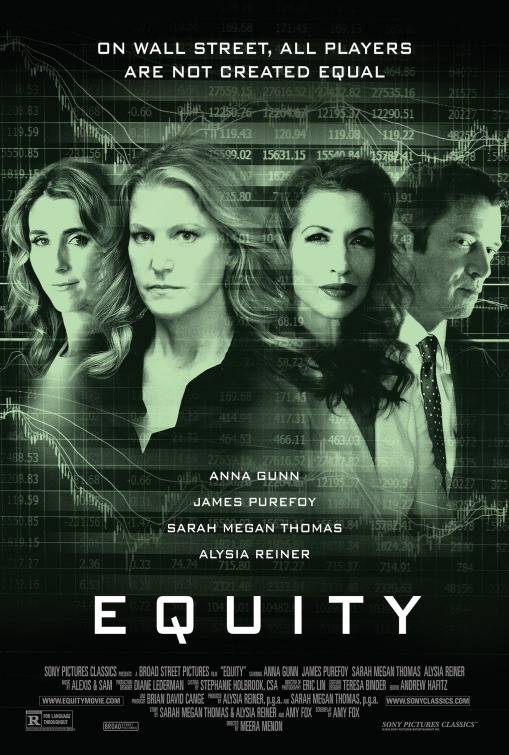 -Equity is the new vehicle for Breaking Bad star Anna Gunn, and it supposedly was one of the best Indie releases of the summer. Obviously, because of a blockbuster filled summer, I wasn’t able to get out and see this in theaters, but it was a movie that I did really want to check out. 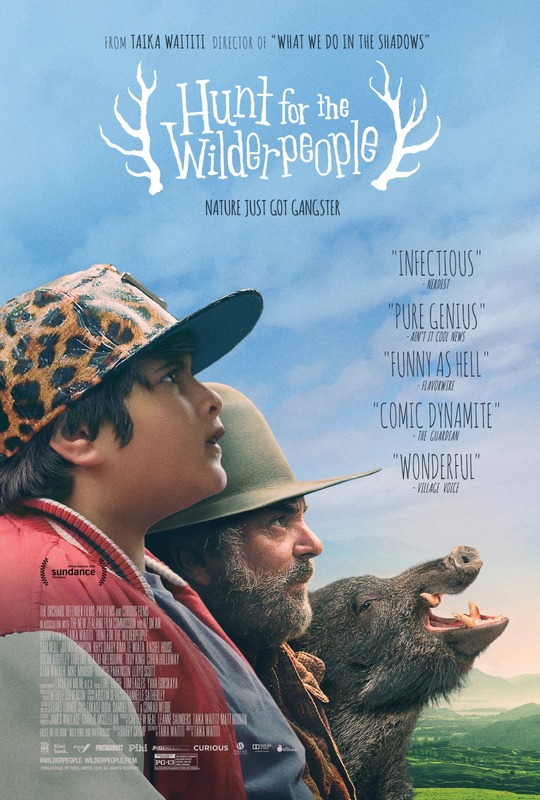 -Hunt for the Wilderpeople is among the most popular deep-Indie releases of the entire year, and by not really knowing anything about it, I didn’t see it during its theater run earlier this year. It, by all accounts, is an incredible movie and as soon as it hits Redbox, I will check it out. It’s apparently a very tactile, interesting, and touching film. -Kubo and the Two Strings is widely considered to be a contender for the Best Animated Film of the year. I don’t do a ton of animated films on the site, and I didn’t get out to see Kubo, even though several people have told me that it surpasses movies like Zootopia and The Secret Life of Pets for this year’s best animinated movie. 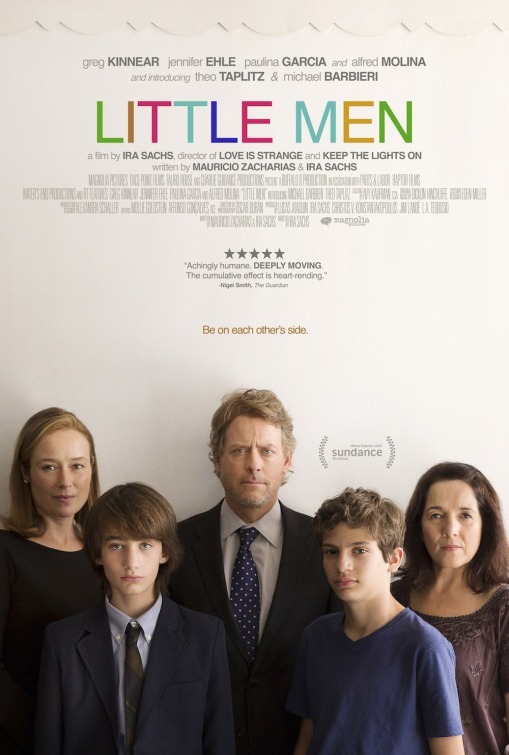 -Little Men is the newest from writer/director Ira Sachs, and it’s actually the second straight year that he put out a movie where I didn’t get to see his release with excellent reviews. (See Love is Strange). Check this one out if you can. 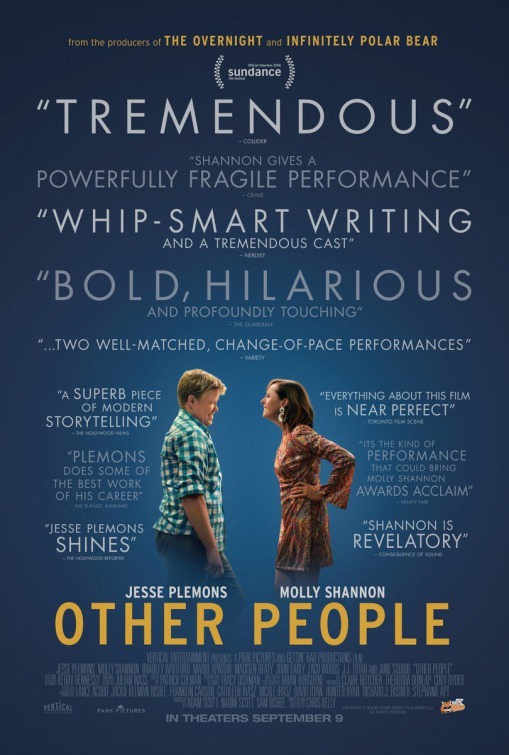 -Other People is one of two Sundance films about rough-around-the-edges men who return to their childhood home to take care of their sick mother. One is The Hollars, a film I feel was completely touching and excellent, and one is Other People, a movie that I missed because it never got a release near me. It’s on Netflix now and I want to watch it just for comparison’s sake. 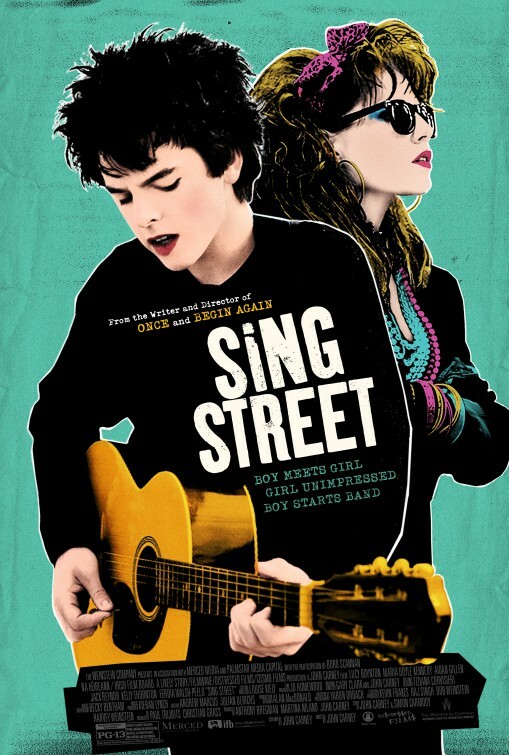 -Sing Street is a movie I know very little about, and saw that many theaters had it earlier in the year, but it never captured my interest to go see. I though nothing of it until I saw it creeping up on people’s year-end lists. Perhaps I should see what the fuss is about. Doctor Strange was fine. It contained nice performances from Benedict Cumberbatch and Rachel McAdams and managed to do something unique against the traditional Marvel formula. While visually stunning, the film peaks at the introduction of Steven Strange and never really recovers the same sense of intrigue after he begins training to become a hero. While Tilda Swinton was her normal self, I didn’t really care for Chiwetel Ejiofor or Mads Mikkelsen in the supporting roles, mainly because their characters were not fleshed out or established properly. The Marvel films struggle with villains, and this was no exception, however, the first act was strong enough to be graded positively at the end of the year. 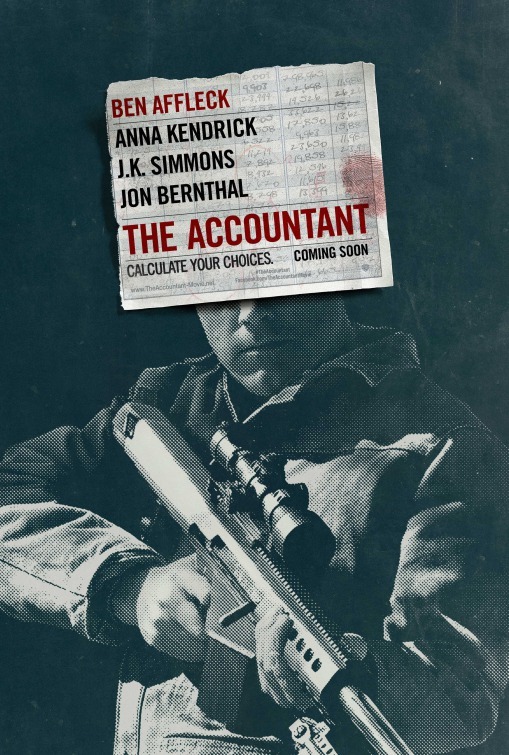 I actually gave The Accountant a negative review on my initial judgement, and I’m going to stand by that despite the movie being on one of the year-end lists. It’s completely messy, preposterous, and disjointed to the point of madness, but I had a great time watching it. Ben Affleck, J.K. Simmons, Anna Kendrick, Jon Bernthal, and others all appear in pretty substantial roles, and with solid action and enough mystery and silly twists to keep me entertained, I can’t just dismiss it because of outward flaws. I’d be lying if I said that this isn’t a movie that I could see becoming a bit of a “so bad it’s good” cult classic. Uh-oh. Three movies in and I’ve already ousted two fan favorites. 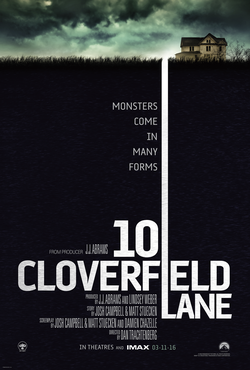 Personally, I just wasn’t encapsulated enough in the first two acts of 10 Cloverfield Lane to then forgive the completely absurd third-act twist with the more science fiction elements. I think that Mary Elizabeth Winstead gives a really good performance in the lead, and John Goodman does nice work too, but I wasn’t as white-knuckled with suspense as a lot of other people were. It was decent for me, but not great, past the one hour mark, and then it really lost me. I was kind enough to give it a slightly passable score, and I stand by that a few months later. It’s a decent movie, but it’s not great. 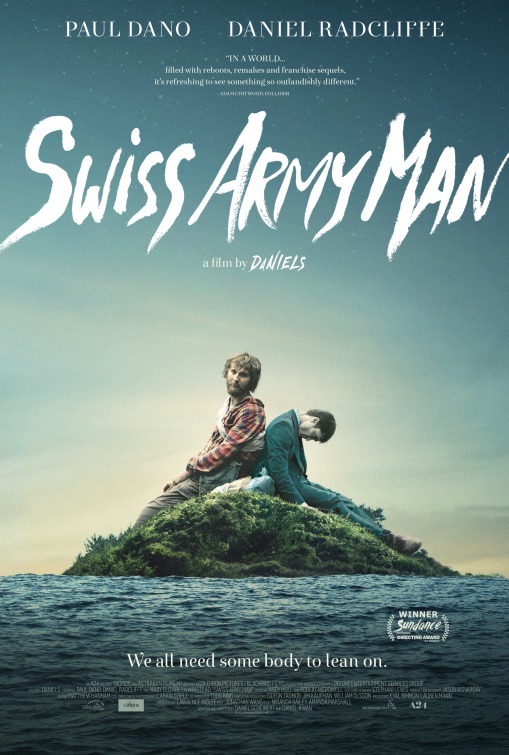 In my review I applauded this film for being unique, and that’s really the best quality that it has, directed by two first time film-makers ‘The Dans.’ The two lead performances by Paul Dano and Daniel Radcliffe are both fantastic, and the film’s sense of wonder and adventure make it one of the best adventure movies of the year. However, as a straightforward drama about depression and friendship, it struggles to maintain the true emotional weight of the story it tries to tell against the more humorous aspects. There’re spots of this movie that slump, and I just couldn’t bump it up to a higher score from a barely passable, but awesome, experiment. 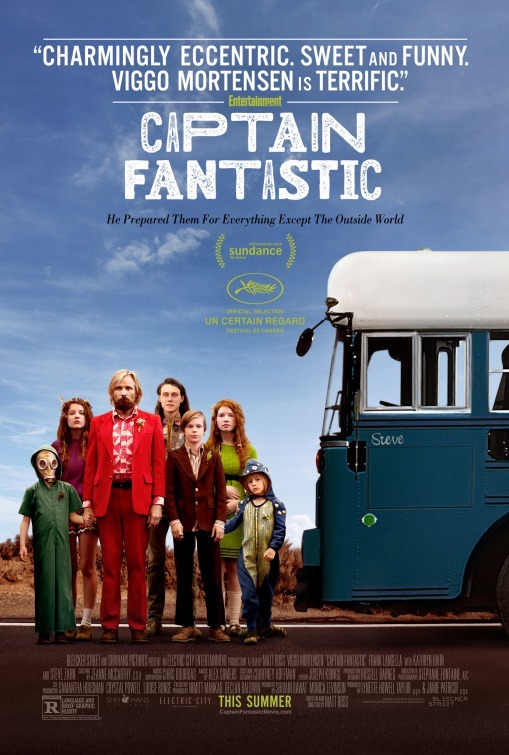 Like the movie listed above, Captain Fantastic is a movie that both excels and is hindered by its own eccentricities. Viggo Mortensen gives one of the ten best Lead Acting performances of the year, but I don’t think the movie’s tone really changed how I felt about his character. I, even by the end, felt really bad for the children even though it was supposed to be a happy ending. Add in the “digging up mom from her grave” in the third act, and we have a tale of two films: one philosophical and interesting, one messy and too melodramatic. 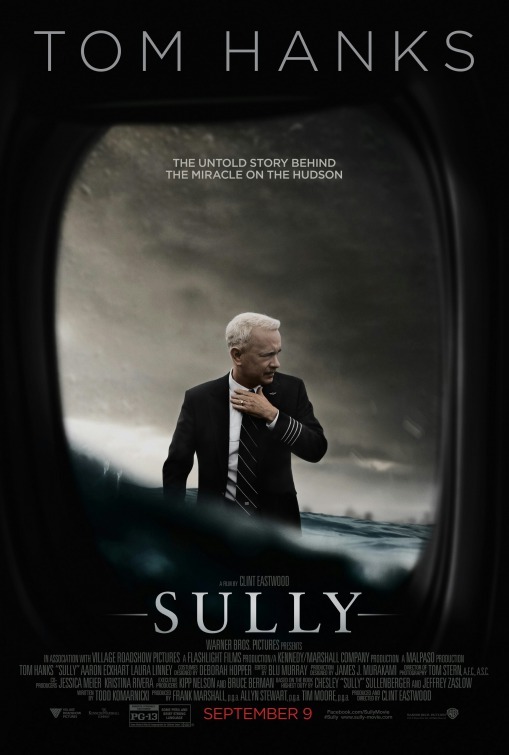 Sully is another movie that I left the theater rather conflicted about. As a drama with some thriller-like elements, I thought that the combination of Clint Eastwood and Tom Hanks was very lucrative. Hanks is great and the film has a solid sleekness to it. However, the clear conservative Eastwood spin of “the government wants to take down the American hero” plot grows very old. I kept asking myself: when a plane goes down on American soil, shouldn’t we investigate? 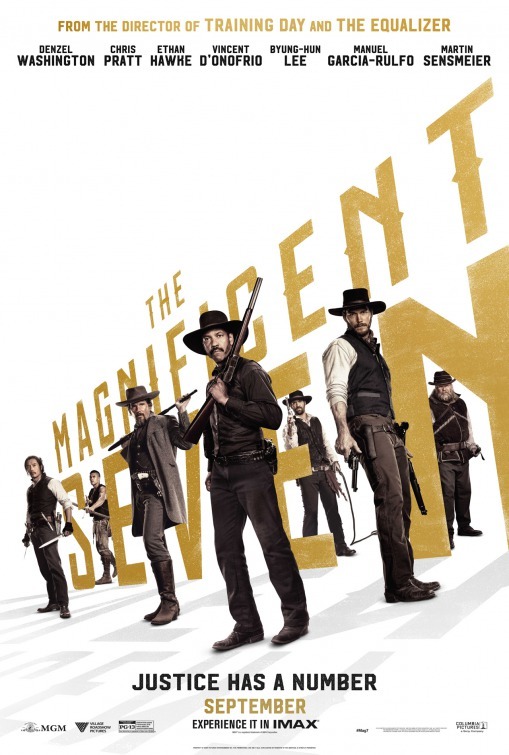 This movie did a good job of introducing a younger generation into what a classic Western could be like. It has more of a modern comedic spin and modern actors like Chris Pratt, Denzel Washington, and Ethan Hawke, but overall, it was very classic in its aesthetic and purpose. Director Antoine Fuqua did a good job staging the action scenes, but the film’s villain presence wasn’t great, and none of the characters were particularly interesting. It was a diverting and fun time at the movies, but it wasn’t a great movie worthy of vast recognition. I do love some chess, and this movie is one of the few that really understands what the feel of a good chess player is really like. As a rags to (semi) riches story, it gets the most out of an excellent David Oyelowo and Lupita Nyong’o, but suffers in being a relatable movie for the vast majority of audiences. 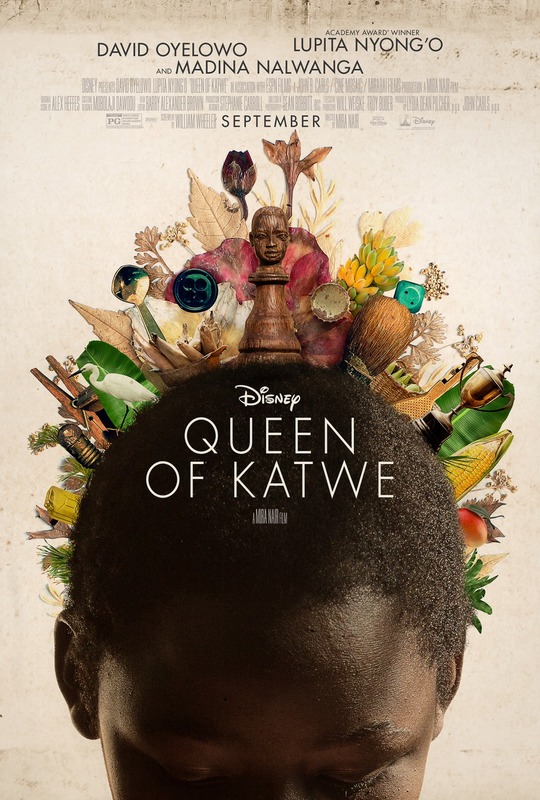 The child performer, Madina Nalwanga, doesn’t do that great of a job in making us root for her character, and I think this is mainly because the directorial team behind this was not taking it as a serious drama. It’s a well-done Disney-produced family film, but it never elevates the main character’s story beyond that of a cliche. I wanted to feel from watching this movie, and I didn’t. 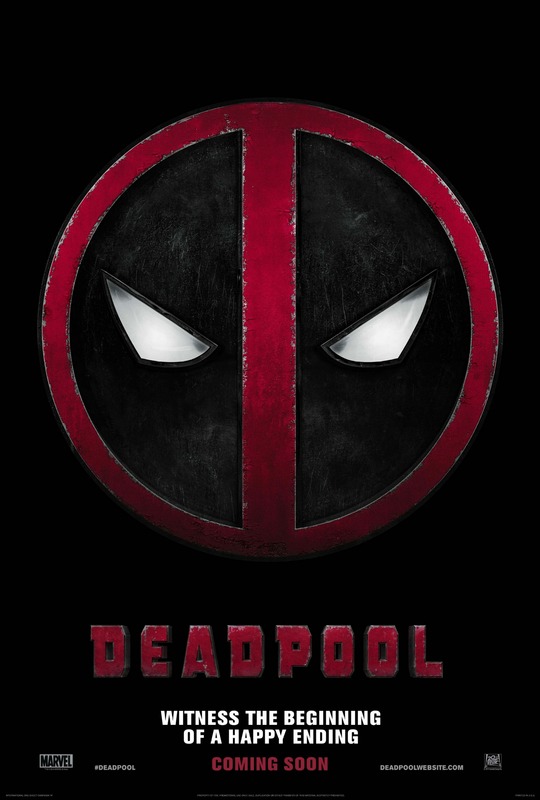 I LOVED parts of Deadpool. Ryan Reynolds was born to play this role, and it’s inspiring how hard he worked for it to be made. It’s among the most interesting superheroes that I’ve ever come into contact with, and all of the performances are pretty solid. However, a third act showdown on a crazy-large structure with some D-list X-Men brings it down to normal superhero territory. With some of the GARBAGE that came out this year in the hero genre, Deapool was refreshing. It just was only refreshing through 2/3 of it. The Jungle Book is one of the most gorgeous films of the whole year with some of the best Computer Generated Effects that we’ve ever seen as a viewing audience. The motion-capture and voice work performances by actors like Ben Kingsley, Idris Elba, and Bill Murray are fantastic, and it really is a special movie. 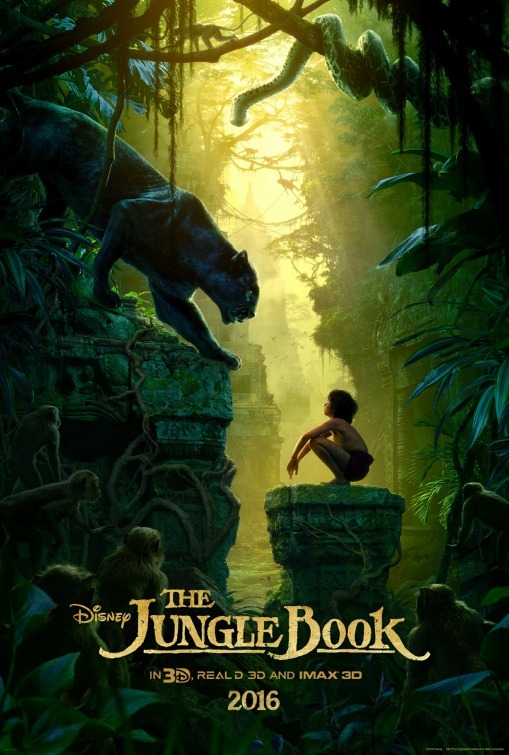 The problems arise in the child performance by Neel Sethi, who is clearly acting around a mostly green-screen environment, and because the movie entirely revolves around it being Mowgli’s story, The Jungle Book has the one fatal flaw that takes away from the astounding things about it. 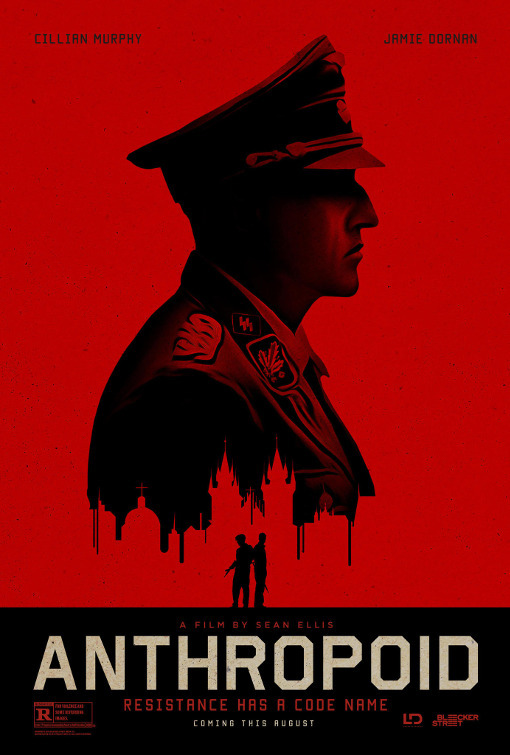 War films are hard to come by, and I think Anthropoid was a bit misunderstood, getting mixed reviews upon release despite some of the best espionage scenes of the year and a crazily directed third act. Cillian Murphy and Jamie Dornan do a nice job as the leads, where they’re forced to live in Nazi-occupied territory to attempt to assassinate a general. It was an overlooked film and some of the supporting characters aren’t that great, but this movie was taut and interesting, and was better than advertised. 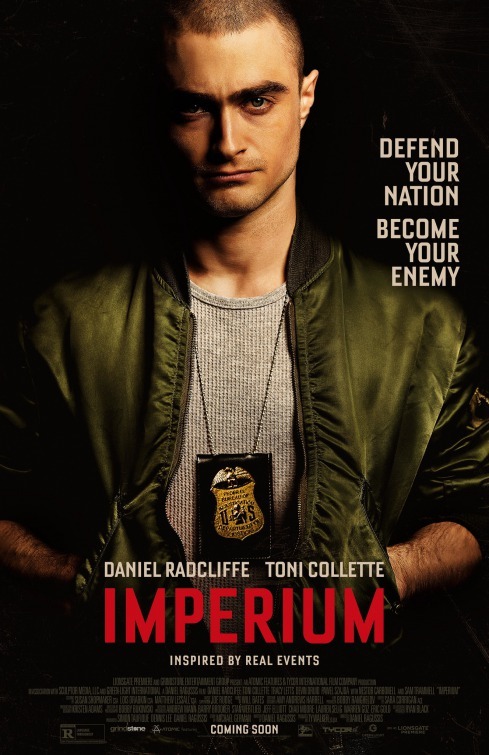 Daniel Radcliffe gives one of the best and most understated performances of the year in Imperium, which suffers from some of the same issues as the movie above: a great main performance and idea, but a lack of interesting supporting characters to keep things completely clean. Imperium was dark and intense, but didn’t quite reach the level of a great drama because it lacked the full-cast magic that a movie like this needs. It does point to a great dramatic future for Daniel Radcliffe, however. The best superhero film of the year but definitely not one of the best films of the year. 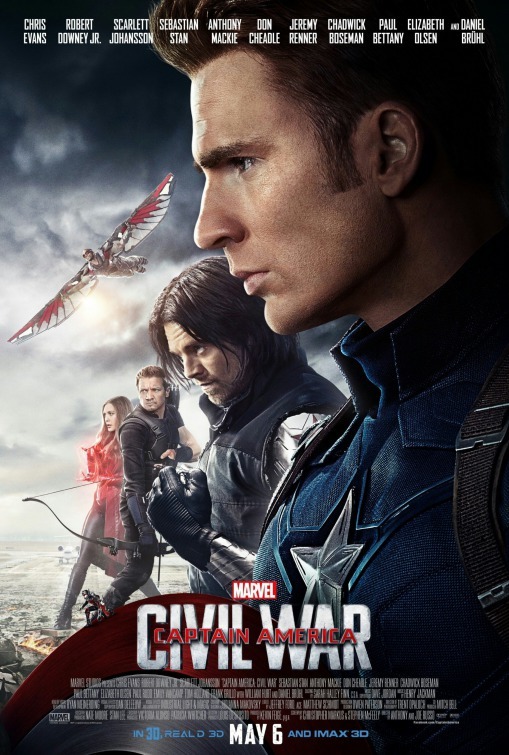 I enjoyed parts of Captain America: Civil War, notably the introductions of Spider-Man and Black Panther, but the main conflicts here felt very fabricated, a political-style conflict without the kind of intrigue and substance to support it. As the casts grow and the magical powers part of the series grows, it seems like characters such as Captain America or Winter Soldier begin to become obsolete against people with true super-powers. The weight of this universe is beginning to cave a little bit, where the third act of this film really struggles due to the inconceivable Daniel Bruhl villain. The way he manages to set up the final conflict between Iron-Man and Cap, and then the way they actually fight is completely absurd and ruins the excellent will the film had from the airport scene (best scene ever in a Marvel film, arguably). Don’t Breathe is one of the most interesting horror films of the year, directed and edited perfectly to build suspense in a very natural way. The use of the blind antagonist to oppose our main characters was such a unique and interesting touch as our characters crawl around in the dark, terrified from every floor creek or other noise from the shadows. The film did begin to slump in the third act, both from the hostage sub-plot, and from the in and out of the property that began to feel rather cliche and campy compared to how excellent the rest of the film was. It just isn’t quite good enough to put on my list, but it is one of the best horror films of the year. The B.F.G. is among the most fun, family-friendly adventure films of the year. 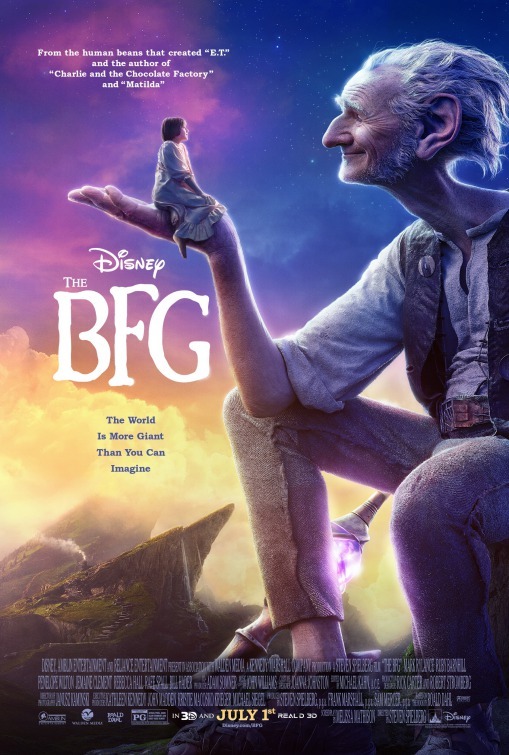 This isn’t surprising considering that it’s directed by Steven Spielberg and features the most likable mentor figure that is imaginable in Mark Rylance as the Giant. The main conflicts don’t really do much and the film never really elevates to being outstanding, but it remains fun, surprisingly funny, and was the surprise of the year for me. 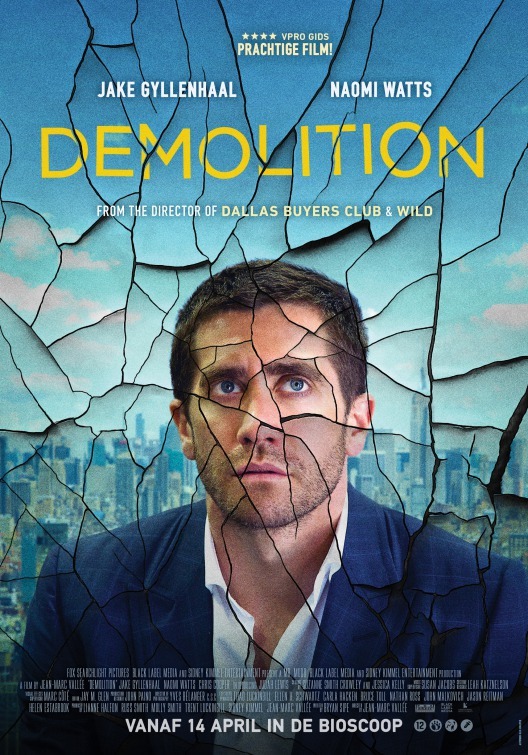 Although Demolition didn’t get great reviews, and it did have some serious dramatic flaws, there were several scenes where the excellence of Jean-Marc Vallee of Wild and Dallas Buyers Club, where Jake Gyllenhaal gives a great performance of a guy who isn’t as upset as he should be after his wife’s death. Mixing that with a great Chris Cooper performance, there is a really good backbone to this film, but it’s often undermined by an odd sub-plot with Naomi Watts that doesn’t work as well as the rest of the movie. 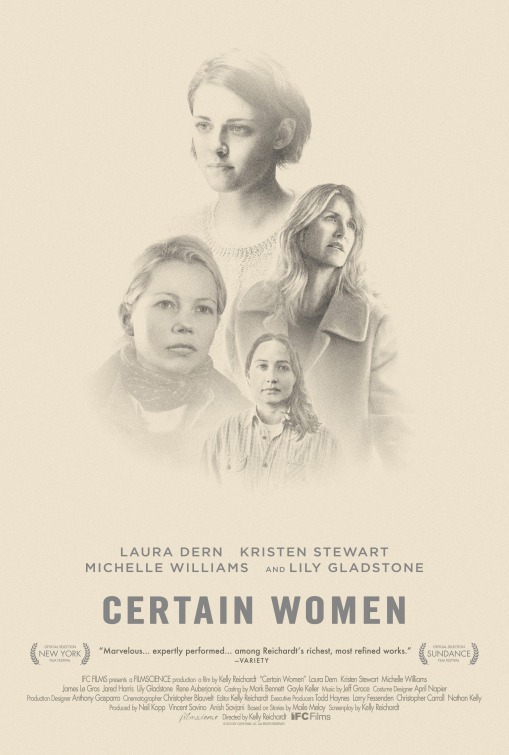 Certain Women is a dramatically adept movie with three interesting story-lines that occasionally overlap. The film manages to be very natural in the way it conveys drama. A husband/wife relationship that isn’t great, an attorney who struggles, and a teacher/student relationship. It manages to be very tactile and interesting with the character studies, but I’d be lying if I said it was an exciting movie. It definitely drags and is without a solid plot structure. 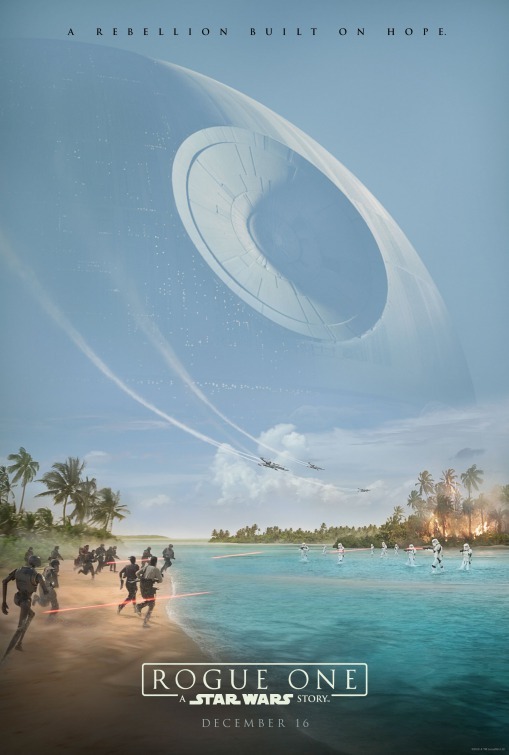 I love Star Wars, and Rogue One had some truly wonderful action moments, but as I stated in my review, I didn’t love the new characters, and didn’t really enjoy the Star Wars callbacks that often felt out of place. Despite my flaws, the action was impeccable, and the third act climax on the beach-planet was completely wonderful. The way that director Gareth Edwards managed scale and suspense undoes the problems that I had with some of the character development. 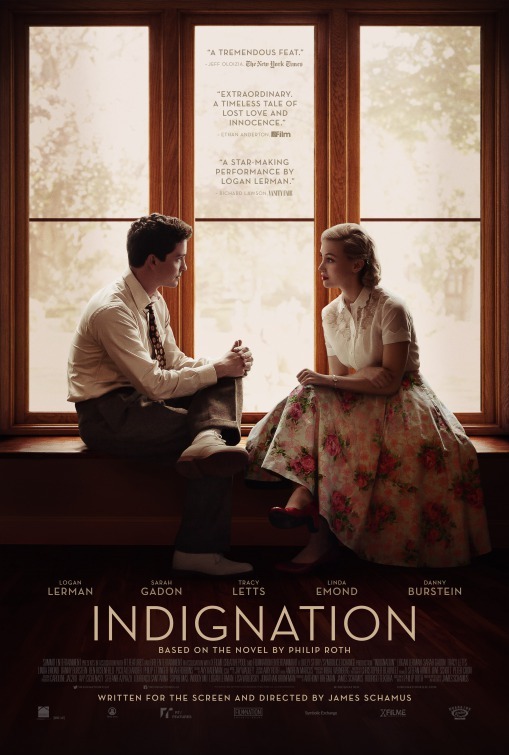 This dramatic film manages to turn Philip Roth’s very wordy book into a pretty decent film, featuring the best performance to date from Logan Lerman. It deals with a historical struggle of progressivism vs. conservatism and Lerman’s relationship with an excellently acted Sarah Gadon character. This was a very under-the-radar film, but it was a very entertaining period piece with some really good “speeching.” I really like witty, well-written lines when really given correctly to the style of entertainment, and this movie definitely has that. This movie really surprised me and kept pretty high on my list to the point that it was barking for an honorable mention in my Top 25 for most of the year. In the end, I can’t quite reward a film that often feels so juvenile, but it deals with a very interesting allegory for how information spreads in this new age. It was often thrilling, Emma Roberts was good, and I would consider this one of the guilty-pleasure surprises of the year. 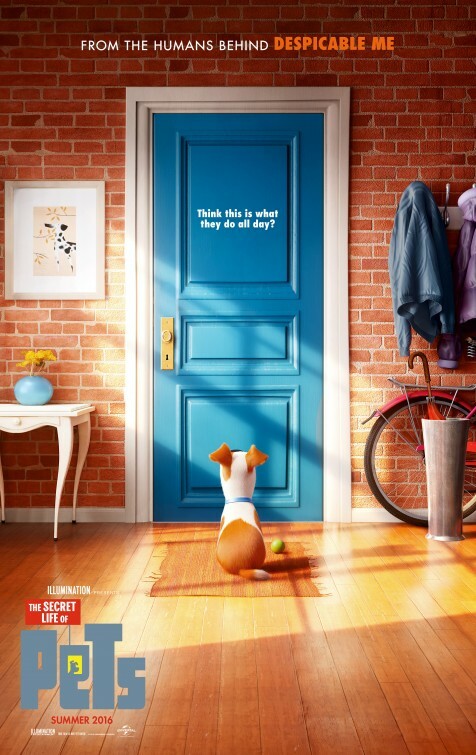 The Secret Life of Pets in any other year would contend for my Best Animated Film designation. It was funny, I loved the characters and the voice-acting, but it was outclassed by two Disney films that were even better. I had to include it toward the top of my Honorable Mentions list because it was just so charming and the best that Illumination has ever offered. Mr. Right might contend for the funniest film of the year for me, it’s just absurd. 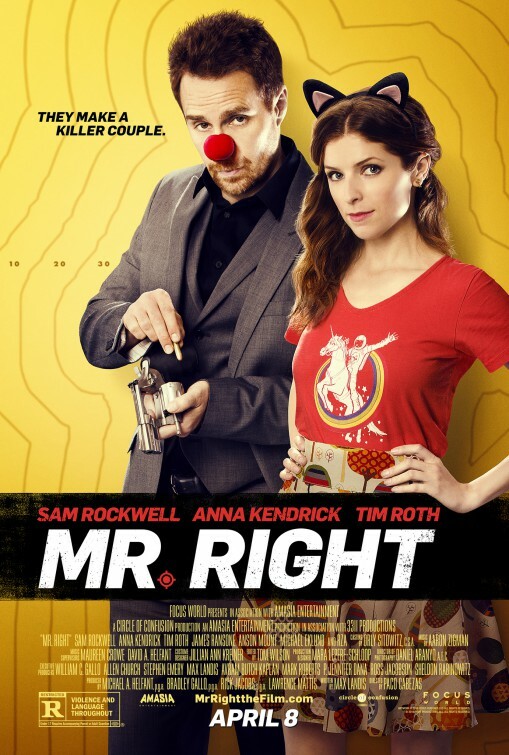 Sam Rockwell as a hit man that starts a relationship with Anna Kendrick who, rather than run away, learns his ways and participates in a very bloody second half of the movie. It’s a movie that has comedy and absurd violence blended very well with just enough of a romantic kicker. It’s very unique with two likable actors, and it has good replay ability. It just is a little silly to include in a Top Films of the Year list. This movie is deeply flawed, but immensely beautiful and well-acted. Michael Fassbender, Alicia Vikander, and Rachel Weisz all do such a good job in this movie that I couldn’t give it a negative review upon release. This movie had the potential to be special, but the plotting was just slightly too messy to put in my year-end list. It’s a heart-breaking romance and it’s a beautifully shot and directed film that occasionally got a bit far-fetched. 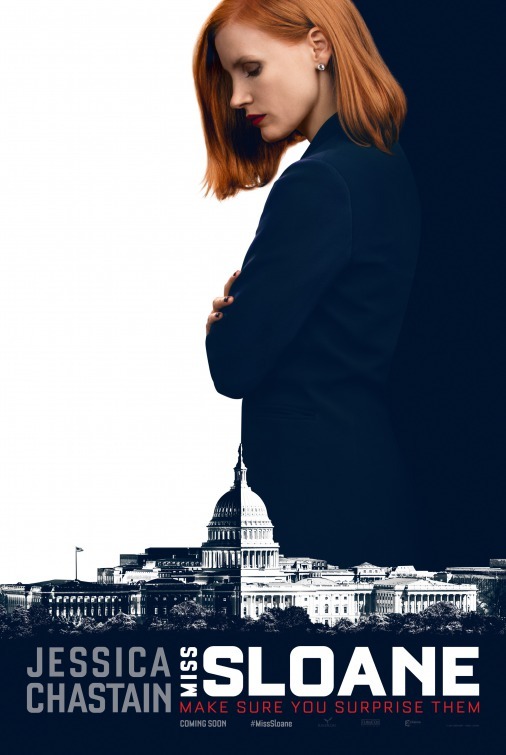 Miss Sloane has one of the five best performances of the whole year with Jessica Chastain in the lead role. It manages to play with good political intrigue and suspense, bolstered by a great performance. 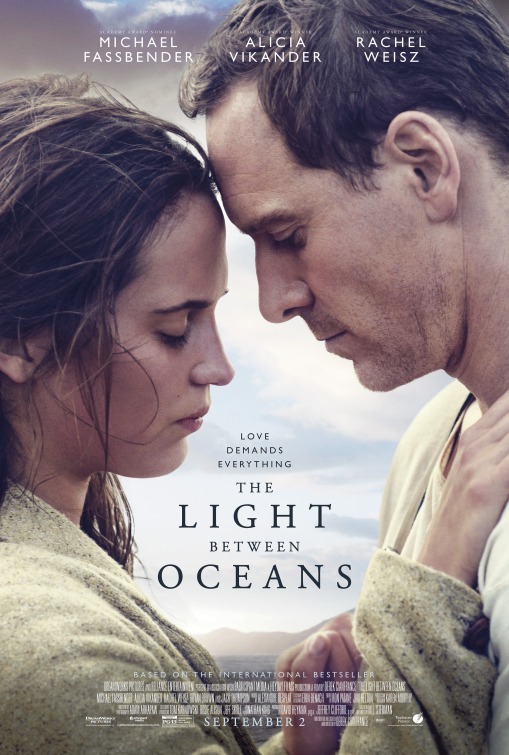 Like with The Light Between Oceans, some of the plot elements become a bit far reaching, but it manages to do something special with the lead performance. 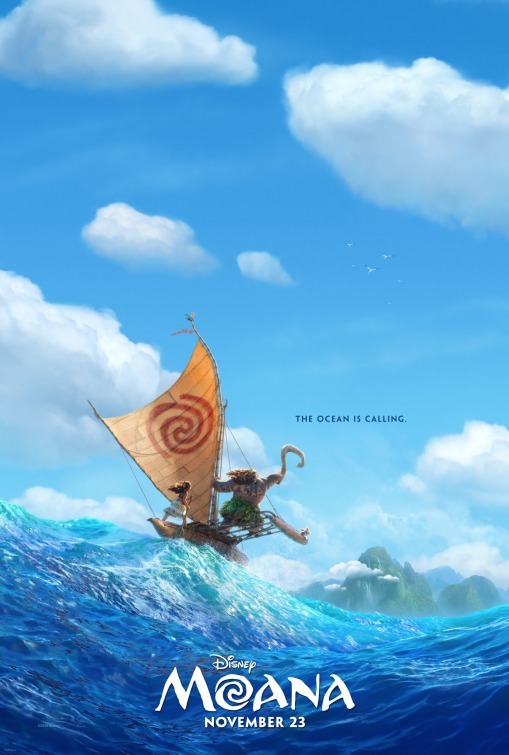 Moana is my second favorite animated movie of the year, and it’s gorgeous. The music is great, I love the plot and the powerful princess, but I didn’t love Dwayne Johnson as Maui, and it added a level of the film that felt slightly too kid-friendly. It was only one spot away from making my year-end list, but it was immensely gorgeous and lovable.